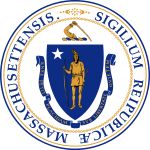 The interests of the child are put first by the Massachusetts child support laws. They try to exercise collective responsibilities for both parents towards their child. Every cost that the child incurs is transferred to both parents in the form of child support. This criterion is used to compute for child support where the incomes of the divorced or separated will be used to come up with the correct figure. It states that children need their parents for financial support and whether they are together or not, they should live up to that responsibility.